Former Asante Kotoko coach, Frimpong Manso, has jumped to the defense of under fire Black Satellites coach, Jimmy Cobblah. The coach and his charges failed woefully in the ongoing CAF U-20 African Championship- winning just a game at the group stage. And to the coach, inadequate preparation accounted for the debacle. His claim has received massive bashing from some quarters. 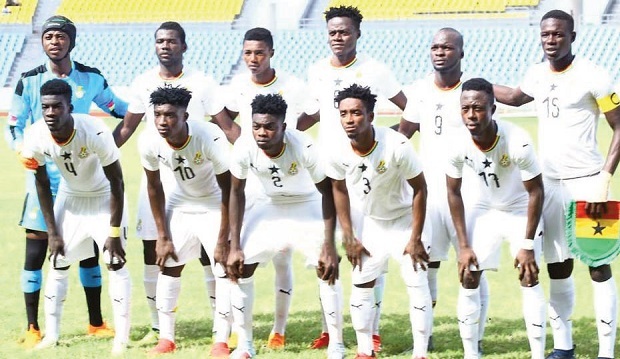 But his colleague has defended him saying, ‘I will agree with the coach in a sense that, his preparation started during the WAFU and he realised some of the players were not fit during the WAFU so he had to invite new players, he told Asempa FM. “With the new set of players, he had to start new preparations. In a way, I will agree with him in a sense that he didn’t get ample time to prepare the team. In football, if the results are not positive, you are going to be blamed. “We cannot say this team is the worst U-20 team. Some coaches were not able to qualify the team to the tournament. “We have to look at the individual qualities in the team and promote those players to U-23. They shouldn’t be neglected. We shouldn’t condemn the players and the team, we shouldn’t crucify them,” he added.